As the weather begins to slowly thaw out, it seems Sony would rather you spend more time indoors, as though it were still freezing outside. They even have the cleverly-named The Great Indoors Sale to entice you to spend a few bucks, stay inside, and game the day away while the rest of the world gradually warms up. Sounds like a good plan to us! Read on for some highlighted deals. 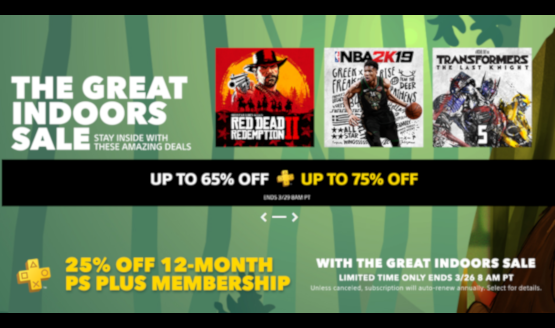 Rockstar Games’ biggest launch of the generation, Red Dead Redemption 2, is surprisingly included in this sale. The discounted price is $46.19, or $40.19 for PlayStation Plus members. Other Rockstar games such as Grand Theft Auto V (PS3/4), Grand Theft Auto: San Andreas (PS4), Bully (PS4), and L.A. Noire (PS4) are discounted as low as $8.99 in some cases. 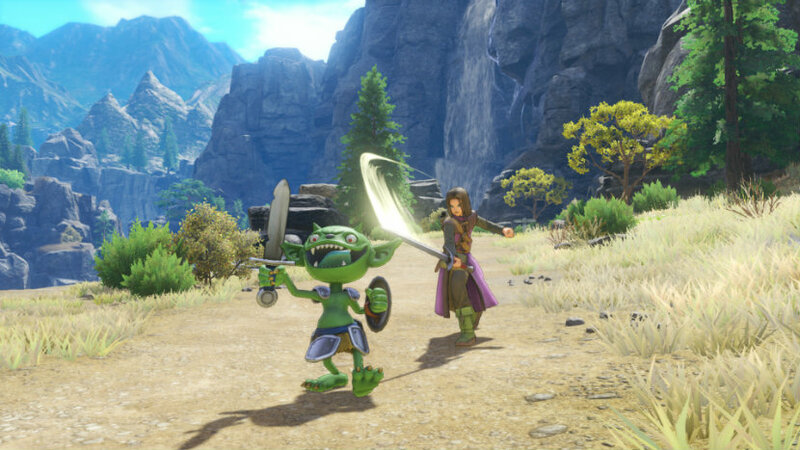 In the mood for a Souls-inspired action RPG, but with less of a soul-crushing difficulty level? Perhaps Lords of the Fallen can entice you at $7.49 ($4.49 for PS+). The Destiny 2: Forsaken expansion is available in various forms ranging in price from $19.99 to $59.99, which represent a 50% discount for PS+ subscribers. 2018’s GOTY winner God of War can be had for $29.99, while 2017 GOTY contender Horizon Zero Dawn is available as low as $15.99. This is the complete edition, which includes the excellent The Frozen Wilds expansion. Beyond the PS4 and PS3 games/expansions, there are also various deals on VR titles. The intense (and intensely fun) Firewall Zero Hour is nearly half off at $23.99, and the WipEout Omega Collection is a no-brainer purchase at $9.99. Catlateral Damage, which was updated to include VR support, is an acquired taste, but is also affordably cheap at $2.99. Don’t have a VR headset, nor a wallet busting at the seams from fat wads of cash? No worries, a budget section highlights a bunch of indie/budget games. While there appears to be a ton of lesser-known games, some standout titles including BioShock, Borderlands, their sequels, and other delightful oddities such as Bridge Constructor Portal for just a few dollars apiece. What are you planning on picking up in this latest sale? Find any hidden gems in the pages of deals? Let us know in the comments below.